Ian Taylor's recent topo of the almighty Ship boulder and Richie Bett's ascent of the 'gritstone testpiece' that is The Mission inspired a revisit to the Celtic Boulders at Torridon, despite feeling weak from a month off bouldering. The weather was chucking down showers all over the east and central area of Inverness, so I took the new European road to Torridon from Garve, making it in about half an hour. Warming up on the Celtic boulders, Richie appeared over a rise like some square-backed hermit crab with all his mats. Unkindly, I threw him on 'the Celtic Knot' a classic little Font 6a sandbag. Behind this 'Conundrum' wall is the giant Spaceship boulder with its easy slabs, however its steeper wall has two excellent slab lines, pulling over a wee roof to wobbly top-outs on barely sufficient slopers. It was time to visit the Ship boulder. This giant lump of clean Torridonian rippled sandstone looks nothing like a ship, but it does float like one in the boggy fringe. Mats, tarpaulins, towels and patio-building is required to enjoy this boulder, but it's worth the effort. It looks more like a deflated muffin from the oven, but its leaning prows and vertical walls provide some of the best problems in the area. In return for my chuckles on the Celtic Knot, Richie pointed me at The Mission. Despite being psyched all over to try and repeat this awesome vertical wall, I was in no condition for Font 7b+ - to be successful on this you'll need torque, tension, technique, long legs and arms, steely fingers and an eye for deadpoint dynos. Richie demonstrated some moves, twisitng his body into curly-wurly shapes trying to find the crucial toe placements. See the wee vid below from Ian Taylor of some early redpoints on this problem from Richie. We played about on Malcolm's Arete, the classic leaning arete of the Ship boulder (the other is Squelch Font 6c). A weakening sequence of dynamic pulls gains a high sloping shelf from where a crux rockover to a pinchy pebble allows a throw for the top... Richie managed in a few goes and leant over the top with a Cheshire grin... a fine effort on a nails 7a from Malcolm Smith! Mike Shorter turned up with his Mum and scared her silly as he rocked over the slab of Swamp Monster (Font 6c)...she stopped her embroidering for a minute while he sketched over on wet shoes too far right above a bad landing. This problem is excellent from the sit start, with a rock out left onto the slab as soon as you can! Good effort from the lad, keeping it together and showing promise on the harder aretes...hope to see you back there again soon, Mike. 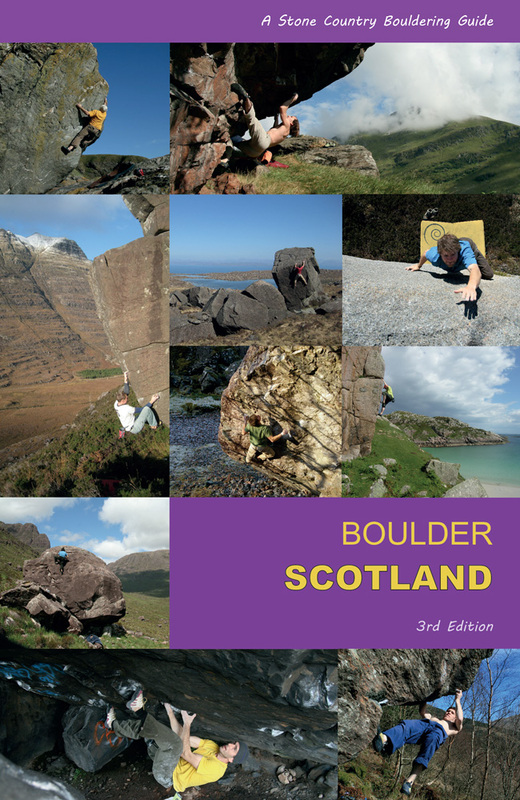 The place deserves some more attention... it is one of the jewels of Scottish bouldering. Just bring your midge juice and Skin-so-soft! The sun was dipping behind murky clouds and midges were threatening, so we moved around a few blocks to find some new problems. I had always fancied the leaning prow on the mezzanine behind the Ship boulder, but the landing is horrific, so I worked out a problem to the left, which is an enjoyable sequence through the hanging ramp with a fun rockover finish - Bench Press (Font 6a+). With the humidity rising and skin going pink, we decanted to Annat to try Tweedley and MacLeod's classic 3 Streaks. 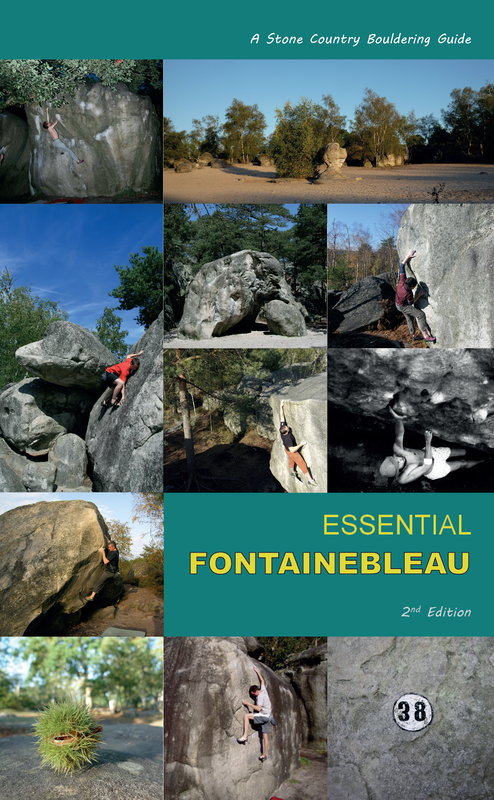 This Fontainebleau-esque grooved wall is a choice 7a+ and requires the full complement of bouldering skills. Richie managed the problem after working out the blind sequences and reaches required to get in position for the top groove. I gave up and took pictures, feeling like my first visit to Font... humbled and spanked!